After the events in Khanabad Uzbekistan started the erection of concrete walls, digging the ditches and trenches at the border with Kyrgyzstan and Tajikistan without any preliminary agreements. The emerged tensions became the subject of analysis by international experts that again focused the attention on peculiarities of Uzbek foreign policy in the region. Ferghana.Ru correspondent met Dosym Satpayev, the prominent political scientist and the director of Risk Evaluation Group. In the opinion of expert, the policy of Uzbekistan is the major factor that hinders the integration and cooperation in the region. Ferghana.Ru: What will be the impact of the walls, erected by Uzbekistan at the border with Kyrgyzstan, on the investment projects in the region and potential investors? 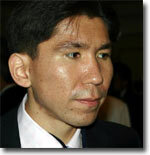 Dosym Satpayev: I believe that many people got already used to such actions by Uzbekistan. The mining of borders with Tajikistan was not initiated yesterday either. Uzbek foreign policy is focused on isolation from neighbors rather than on developing partner relations. No doubt, the investors, first of all, are interested in the raw material sector: this works for both western and Asian companies. Specifically, these days we see more active involvement of China in Uzbekistan, Kazakhstan and other countries of the region. I doubt that the investors are interested in other sectors of economy since the economic policy of some Central Asian states is rather strange. First, Uzbekistan does not support the establishment of normal economic and trade relations with other states of Central Asia. This can be observed in frequent conflicts and tensions on closing the borders, mainly initiated by Uzbekistan. Tashkent always blames the neighbors in the production of various problems, for instance, the penetration of terrorists and extremists. Secondly, the domestic economic system of Uzbekistan is not attractive for investors: unpredictable policy, administrative management and in irredeemable Uzbek sum. As a result, many investors, including Uzbek ones, prefer Kazakhstan although the domestic economic situation in Kazakhstan is also not the best. We also see here how the government gets more actively involved in the economy and tries to become major regulator of economic processes. Overall, speaking of Central Asia, unfortunately, we do not exploit available potential. The region is a vast market with about 50 million people that has substantial natural resources and infrastructure, inherited from Soviet Union. However, it does not function as single mechanism since there is no common economic area. By the way, this explains why Kazakhstan starts paying less attention to Central Asian and cooperates more with Russia and Belarus on the establishment of the Customs Union that should be put in effect on January 1, 2010. I believe Kazakhstan lost interest in any integration initiatives within the region. Kazakhstan always supported closer economic cooperation in the economy and now it is more oriented to the West. Obviously, in the condition of crisis the investment attractiveness of Central Asia is less important even for Kazakhstan. Ferghana.Ru: What are real changes in the relationship between Kazakhstan and Uzbekistan? Dosym Satpayev: Uzbekistan conducts odd trade policy. Often times they unilaterally shut the border and this affects severely the residents of border regions. Allegedly, this is reasoned by the penetration of terrorists and extremists and the fact that import of goods from Kazakhstan and Kyrgyzstan negatively impacts Uzbek producers. Nonetheless, the real losers are Uzbek farmers that are the main suppliers of agricultural products to the markets of Kazakhstan and Kyrgyzstan. Where is the logic? Closing of borders does not protect the interests of our citizens, but contradicts them; moreover, this creates problems for those Uzbeks, engaged in the trade operations at the border territories. Ferghana.Ru: Would self-isolation of Uzbekistan solve the Afghan issue? Dosym Satpayev: Among all Central Asian republics Uzbekistan has been traditionally trying to play serious role in the regulation of Afghan problem. Uzbekistan suggested "6+3" scheme to include NATO in the negotiation process. However, it was rejected by Russia and China. Uzbeks believe that it is only them who have certain opportunities and resources to promote the ideas of setting the Afghan problem without participation of other Central Asian states. Perhaps, Uzbekistan also gives consideration to Russia and China. Overall, Uzbekistan has own position for Afghan issue. Moreover, one can have the impression that the worse the situation in Afghanistan is the better it is for Islam Karimov because in such case Karimov convinces everyone that only Uzbekistan is the shield for the region, protecting from hypothetical threat of Taliban movement. At the same time, Uzbekistan does not really help Tajikistan on preventing the drug trafficking and border protection. One story is when there is Russian border service; another story is the cooperation of law enforcement bodies of Uzbekistan and Tajikistan. Drug trafficking is the threat for entire region. Nevertheless, Uzbekistan pursues self-isolation policy: guys, please solve these problems on your own. Again, where is the logic? Allegedly, Uzbekistan attempts to solve Afghan problem, but at the same time, it does not want to cooperation with the countries of Central Asia, preventing the trade of goods and passively involving in drug trafficking. The evidence is that Uzbekistan wants to suspend its CSTO membership again and does not really support SCO initiatives on Afghanistan. Once again, Uzbekistan is self-isolated. Uzbek policy, which can be described as "do not create problems for me, I do not want to cooperate with you" negatively impacts the consolidation ideas on Afghan problem. Ferghana.Ru: What should be the position of Kazakhstan in order to support good diplomatic relations with Uzbekistan and Kyrgyzstan on the one hand and not to lose political and economic benefit on the other hand? Dosym Satpayev: We should not stick to the same place and wait for Uzbekistan that does not want to cooperate extensively in the region. Kazakhstan is running separate programs with Tajikistan and Kyrgyzstan and establishing interstate councils. Moreover, Kazakhstan launched the certain foundations for financing the projects in these countries. Although Kazakhstani businesses reduce the investment they are still present in Kyrgyzstan and Tajikistan. The relations have to be maintained as there is no other option. Another option is to refocus the priority from Central Asia to Customs Union with Russia and Belarus and make a real step toward the integration in western direction, but Kazakhstan is not going to benefit from this idea. We are a part of the region. And there are also other countries in the region, besides Uzbekistan. Kazakhstan has real opportunity to have good economic and trade relations with at least two out of four remaining countries in the region (Uzbekistan, Tajikistan, Turkmenistan and Kyrgyzstan). Kyrgyzstan and Tajikistan are waiting for investment and Kazakhstan is also better off, developing the relations with these republics. Tajikistan and Kyrgyzstan are the biggest producers of hydropower in the region. On the other hand, it will be difficult to set the issues of transit or water resources without participation of Uzbekistan. If Uzbekistan demonstrates the readiness to collaborate, many things will be easier in the region. The issues can be resolved without Uzbekistan, albeit less effectively. I believe that Kazakh policy in the region will not be shifted. The integration in Central Asia is not the priority direction any more, but Kazakhstan is going to maintain the relations with Tajikistan and Kyrgyzstan at least under the existing economic projects. Ferghana.Ru: What is your estimate for the future? Dosym Satpayev: In my opinion, Uzbekistan is the major destabilization factor in Central Asia. Therefore, Uzbek isolation policy prevents the neutralization of risks in the region. Blaming everyone around in terrorism and extremism does not solve the problem. The domestic policy of Uzbekistan remains inefficient with high poverty level and low progress of socio-economic development. The extremism and terrorism are rooted in these factors and the problems are produced by Uzbekistan itself. Another issue is water resource allocation. We can put pressure on Kyrgyzstan and Tajikistan and blame them for their unwillingness to sell water. On the other hand, what do they have to do when Uzbekistan cuts the supply of gas for heavy debts? In response, Tajikistan states that it is going to sell water since it considered as natural resource. Here, instead of blaming each other we need to build a dialogue. The problem of water and energy in the region is forced by Uzbekistan. We cannot establish water and energy consortium because Uzbekistan always "has own opinion". Another important point on the investment attractiveness of the region is that investors would like to see the stability in the region. When the investors observe the problems and tensions in the region they give up their plans. Therefore, we see the investment only in natural resources since it does not make much difference for the investors: they produce raw materials and export them by oil and gas pipelines. They are content because they generate profit either way. The point is that we need investment flow in agriculture and new technologies but this type of investors are more careful and they need stability, good customs relations and convertible currency. Our countries are not able to offer such conditions. Unfortunately, if Uzbekistan maintains its current domestic and foreign policy Central Asia will not become more attractive for investors that are ready to bring new technologies. We are going to see only those investors that view only raw-exports role of Central Asia. We are destined to remain as rural region. Uzbeks will sell cotton and gas. Kazakhs will sell oil, gas, uranium. Tajiks try to sell water. All of this is the export of natural resources. If we want to become competitive we need to develop innovations. Poor cooperation does not produce the result. Ferghana.Ru: Who is better off in this case? Dosym Satpayev: The winners here are our neighbors (Russia, China) and other countries that are better off if Central Asia keeps its raw-exports role. They do not need the competitors. Ferghana.Ru: Considering such disconnection between Central Asian leaders, is the chairmanship of Kazakhstan in OSCE going to be effective? Dosym Satpayev: One year is not enough to do real things. The chairmanship in OSCE is formal position that does not give certain result. The chairmanship is the chance to attract attention to Central Asia. However, if we are not able to resolve our problems who is going to help us? It is not wise to rely on OSCE, UN, NATO, CSTO, and SCO. We need to solve our problems on our own. They can provide consultation and money. Once again, if we develop internal cooperation and readiness to integrate, we will not achieve the result.